Buyer Representation, also called Buyer Agency, is a little talked about but very important aspect of the home buying process. Any buyer looking for a home should sign a Buyer Representation Agreement with their REALTOR®. Andy Hodes and the Scenic City Team believe deeply in the importance of Buyer Representation and can provide you with your own Buyer Representative. Here are four reasons why Buyer Representation is so important. It is a little known fact outside of the real estate world that when you call an agent who has listed a home, that agent is typically working exclusively for the seller. It is that agent’s duty to get the best price and terms for the seller. Instead, a buyer should have their own representation, someone who will be their advocate and negotiate with the Seller’s Agent to get the best price and terms to meet both buyer and seller’s needs. The best part of Buyer Representation; it is free to the buyer! Here is how it works: In a transaction where the Seller’s Agent is the only agent involved, that agent receives 100% of the commission the seller agreed to pay when they listed the home. When a Buyer’s Agent becomes a part of the transaction, the Seller’s Agent then shares the previously agreed upon commission 50/50 with that Buyer’s Agent. It is a myth that buyers can get a lower price by going straight through the Selling Agent since the commission is already agreed upon when listing the home. Why not have your own Buyer’s Agent who can negotiate the sales price down for you instead? Very rarely will you ever run across a buyer who only looks at one home and decides to purchase it. For buyers who look at multiple homes, this means calling and coordinating showings with several different agents and potentially flooding your email account with junk listings and spam. Part of a Buyer Agent’s job is to help you find properties that meet your needs, schedule all of the showings with the seller and seller’s agents and show the homes. Receiving listing information and coordinating schedules with only one agent takes the unnecessary stress out of potentially one of the largest purchases of your life. 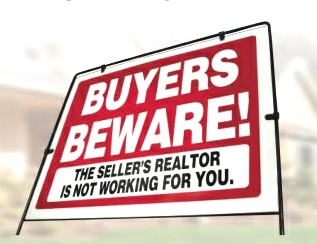 In order to have Buyer Representation, you must sign a Buyer Representation Agreement. This agreement lays out the duties owed to you, the buyer, as well as your responsibilities as a buyer. The terms of this agreement, including the duration, can be negotiated with your agent. The best part of this agreement is the assurance that your agent is contractually obligated to advocate on your behalf, with your best interest in mind, and collect for you all information to make the most informed decisions. Information ranges from price analysis using comparable homes, tax record information and adverse facts affecting the sale of the home. For more information about the terms of a Buyer Representation Agreement, or to get your own representation call us at 423-664-1822!